Recruiters are salespeople. Their sole responsibility is to sell the company to a driver, and convince them to choose to work for their company. Recruiters are typically paid a commission for bringing drivers into the company. It is generally considered good practice for drivers to get trucking company information (recruiter promises) in writing, whenever possible. A recruiter's job usually ends when they get you signed up, and normally will not have any further contact with the driver. Most trucking companies tend to operate very similarly to one another, as in any industry. The best trucking company for a driver to work for is the company that best suits a driver's needs, and will depend more on the driver's attitude and what he or she considers important factors for employment. You don't necessarily have to ask recruiters all of these questions. Use this as a guide to get answers to your most important questions. What Should I Ask About Company-Sponsored Training? Is travel to the school covered? Should I get my CDL permit before attending school? What should I bring to CDL school? How much money will I need to bring, and for what? Will I be paid during schooling? Are meals and lodging paid for by the company? What is the driver's obligation to the company after trucking school? How is the driver's obligation fulfilled, and what happens if I leave early? What is your hiring area? Do I need to live near a terminal? Minimum age and experience required? Work history requirements, including policy on gaps in work history? CDL Endorsements required before hire? TWIC card? Is there a sign-on bonus? Or a referral bonus? Describe the pre-employment physical (including sleep apnea)? Programs or policies directed towards veterans and ex-military (if applicable)? Policies on hiring drivers with felonies or DWI/DUI (if applicable)? Where is your orientation? Is food, lodging, and transportation to orientation provided? If I am disqualified or decide not to work for the company, how do I get home? How long is orientation? What does it involve? What is the pay during orientation and training? Is training done by team driving? Is there a waiting period for a trainer? How much experience does the typical trainer have? Do the trainers get graded by the students after completion or is there a feedback loop to make the training better? If the trainer takes home time does the rookie keep driving? Can you switch trainers if it doesn't work between the two of you for whatever reason? What is the pay after training completion? List for each division please: tanker, dry van , reefer , etc. Please list if it is for ALL miles, or is a progressive (tiered) pay scale. When will I receive my first paycheck, and can I get an advance against it? How does the pay period work? Do they use TRANSFLO and does it cost you? Do bills have to be sent in by a certain day to get paid during a week? What does the average driver earn per week? What can I expect my first year earnings to be? 2nd year? How often are pay increases given? What are pay increases based on? How do I get paid (Direct Deposit, check, etc)? Is per diem pay offered? If per diem is offered, is it mandatory? How often do layovers happen, and are they paid? What medical and dental plans are offered? Details and pricing of each plan to include time with company? Is there a 401k and how is it structured? Contribution limits? How much does the company match? When am I fully vested? Is there a tuition reimbursement program? Explain how it works please. In what areas does the company operate? What kinds of routes are available (Local, regional , OTR , etc.)? What are your major lanes? Where are the main hubs or terminals? What is the average length of haul? What miles are paid miles, and what miles are not? Will I have a dedicated Driver Manager (DM)? Does the company employ teams? Are drivers forced to team? Does the company have any dedicated contracts? Divisions? Is the rookie eligible for them? What is the company's idling policy? Do you reimburse for scales and tolls. What other kinds of expenses are reimbursed, and what is the process? Are they all no-touch loads or is unloading involved? What is the pay structure for driver-unload? How often can I get home? Where do they want the truck when you go home? Does the company use slip seating or assigned trucks? Who pays for lumpers, if necessary? What is the limit to lumper pay? If weather, driver (illness) or road conditions are such that I feel it is unsafe to continue driving, will I be penalized for parking until it is safe? How many miles per week does a driver average? Can I get home for the holidays? What is the driver turnover rate? How many of their recruits as a percentage remain past 90 days? What is the number 1 reason new recruits quit? What is the number 1 reason new recruits are terminated? What is your rider policy? Runs to Canada or Mexico? Extra pay? Am I required to have a passport? Runs to New York City (NYC)? Forced? Extra pay? What brands of trucks does the company use? What speed are trucks governed at? How many miles do they usually put on a truck before they pull it from the fleet? What is the average age of the trucks in the fleet? What kind of trailers and freight does the company haul? What is your power inverter installation policy? What size inverters are allowed? 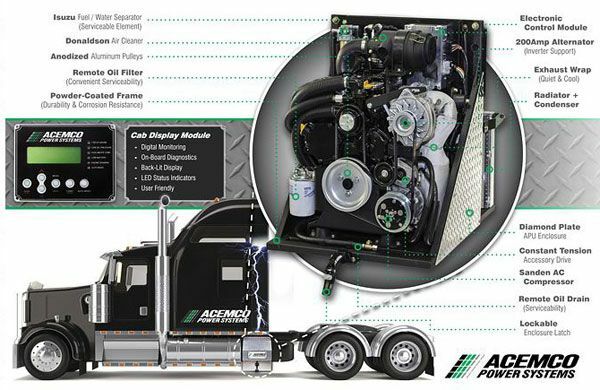 Are APU's installed in your trucks? What is your idling policy? Does the company use electronic logs? Truck washing policy and who pays for washing? An MVR is a report of your driving history, as reported from your state Department of Motor Vehicles. Information on this report may include Drivers License information, point history, violations, convictions, and license status on your driving record.